With over 533 miles of coastline, Anne Arundel County is known for boating, fishing, crabbing, water skiing, sailing and swimming. It is well renowned for its access to the Chesapeake Bay and the United States Naval Academy. 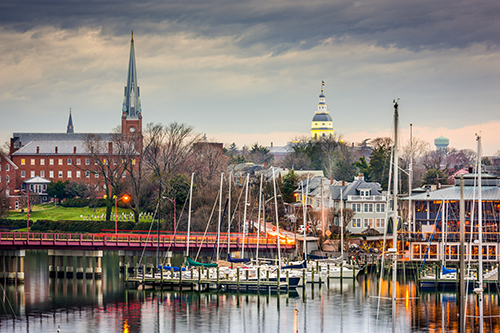 The state capital of Annapolis offers Historic Museums, Sites, and Monuments. The dining, shopping, and nightlife is diverse and appealing to all. Anne Arundel County continues to attract business and new residents because of its central location between Baltimore and Washington, its superior transportation networks, and the natural beauty and recreational opportunities it’s 533 miles of shoreline offer.